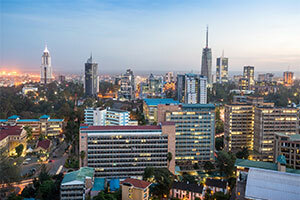 According to a new study by South Africa’s Rand Merchant Bank (RMB), Kenya, Rwanda, and Tanzania are bound to be among Africa’s most attractive investment destinations in 2019. This new study analyzes the countries’ economic and operating environments to assess their potential to attract investment. In East Africa, the report positions Kenya as the most appealing, ascribed to the political reconciliation after the disputed 2017 presidential decision and the nation's continued consumer demand. Second-placed Rwanda appraised one of Africa's quickest developing economies, has dramatically increased the effectiveness of its business condition in under 10 years with the government investing intensely in domestic enterprises. In positioning Tanzania third in the locale, the report refers to government tax cuts, advancement of special economic zones, investment in public infrastructure and growth in the services sector as motivations for foreign investors. As indicated by the report, Ethiopia, which is Africa's quickest developing economy, has effectively figured out how to sustain its relative leeway, especially in agribusiness and manufacturing, and its interest for goods and services is rising fundamentally given a market size of around 100 million people. The regions ease of doing business has been boosted by its developed infrastructure, healthy, well-educated workforce, the most efficient goods market and strong institutions. According to the report, a pick-up in growth momentum in Africa and improving individual operating environments are key to attracting foreign investment to the continent.